An analytical model is used to describe the electrical characteristics of a dual-junction tandem solar cell performing with a conversion efficiency of 32.56% under air mass 1.5 global (AM1.5G) spectrum. The tandem structure consists of a thin heterojunction top cell made of indium gallium phosphide (InGaP) on gallium arsenide (GaAs), mechanically stacked on a relatively thick germanium (Ge) substrate, which acts as bottom cell. In order to obtain the best performance of such a structure, we simulate for both the upper and lower sub-cell the current density–voltage, power density–voltage, and spectral response behaviors, taking into account the doping-dependent transport parameters and a wide range of minority carrier surface recombination velocities. For the proposed tandem cell, our calculations predict optimal photovoltaic parameters, namely the short-circuit current density (Jsc), open-circuit voltage (Voc), maximum power density (Pmax), and fill factor (FF) are Jsc = 28.25 mA/cm2, Voc = 1.24 V, Pmax = 31.64 mW/cm2, and FF = 89.95%, respectively. 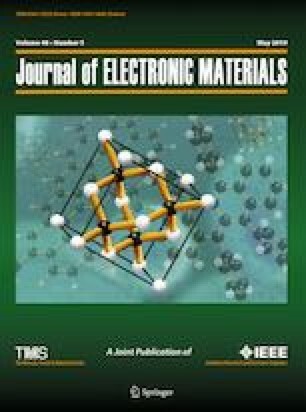 The present study could prove useful in supporting the design of high efficiency dual junction structures by investigating the role of different materials and physical parameters.